On April 7 Kim? Contemporary Art Centre in collaboration with Hessel Museum of Art and Centre for Curatorial Studies (CCS Bard) opens exhibition Balticana curated by Zanes Onckule. The exhibition will be on display from April 7 to May 26 in Hessel Museum of Art, NY. The opening of the exhibition will feature a performance Is Happiness an Illusion? by Vytautas Jurevičius. Artists: Auseklis Baušķenieks, BRUD (Aditya Mandayam), Peter Fend, Vytautas Jurevišiuc, Tobias Kaspar, Ilya Lipkin, Ian Rosen and Collier Schorr. While appearing during a resurgence of patriotism of various kinds – think of the naively pastiche treatment of the National throughout Centennial celebration programs in the Baltics-to far-right nationalism – think of the xenophobic phrases and far-right symbols haunting Poland and Germany-widespread across present day Europe and the world at large – this fabricated non-state – Balticana – is erected to posit a potential for a vitality and a generosity, a correspondence between the private and the (a)political that is not commissioned. Balticana is a poetic exploration of obscure but illuminating connections between the historic, cultural, and sociopolitical contexts of the Baltic region, emphasizing a shared mood across art, society and behavior. Relying on artists, art works and ephemera, and departing from the particularly Baltic atmosphere of fog, the exhibition collects and weaves together metaphors — Portal, Mood, Faktura, Onion, Balts, and Balcans — central to Estonia, Latvia, and Lithuania to produce Balticana as a new allegory and imaginary fourth state. Right to say that Balticana would not happen not being distanced from its origins as well as notbeing expressed in an adopted language. There would be no Balticana if researched, curated and written in Latvian or Estonian or Lithuanian, or Russian, there would be no Balticana if someone along the way would not address Yugoslavia, there would be no Balticana if a Russian lift driver from Brighton beach didn’t return a lost wallet. The exhibition features painting, manuscripts, photography, and collage by artists such as Auseklis Baušķenieks, Peter Fend, Ilya Lipkin, and Collier Schorr, and a reflective panel by Tobias Kaspar, in addition to new commissions. The newly commissioned and site-specific works include an ephemeral light installation by BRUD (Aditya Mandayam), sound and performance by Vytautas Jurevičius, and an online intervention by Ian Rosen. The display of Balticana is conditioned by architectural elements, including one conceived as a portal into National, Philosophical, Historical, Contemporary, Absurdist, and Postcolonial dramas of the Baltic region. Art works in the exhibition come from the Marieluise Hessel Collection, Zuzāns collection, and curators’ own private collection. Exhibition is accompanied with the thesis-research paper entitled Balticana. Exhibition is organized as part of the requirements for the Masters of Arts degree at the Center for Curatorial Studies, Bard Coollege in collaboration with Kim? Contemporary Art Centre. 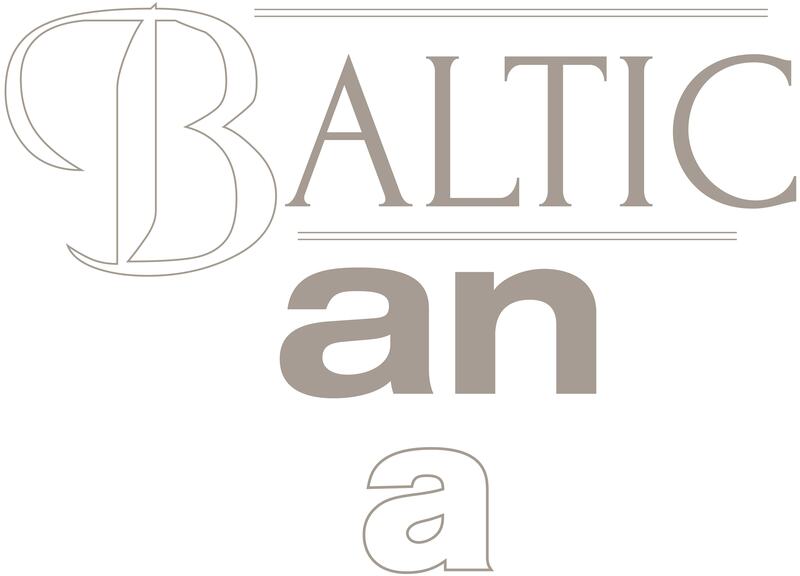 The curator would like to acknowledge all those involved in the process of claiming and establishing Balticana. Hessel Museum of Art in Anannandale-on-Hudson, NY, was established in 2006 as a museum part of the Center for Curatorial Studies at Bard College. Titled after its patron Marieluise Hessel, Museum’s 17,000-square-foot exhibition space is dedicated to contemprary exhibitions. Museum also hauses the Marieluise Hessel Collection of over 1,700 works of contemporary art, including art works by such artists as, Sol LeWitt, Robert Mapplethorpe, Bruce Nauman, Cindy Sherman, Christopher Wool, and others. Permanent installations include works by Martin Creed, Olafur Eliasson, Robert Gober, and Lawrence Weiner. The Latvian Pavilion 2019 will present a new site-specific installation by the artist Daiga Grantiņa, titled Saules Suns the exhibition is jointly curated by Inga Lāce and Valentinas Klimašauskas. In her practice, Daiga Grantiņa uses a wide range of everyday materials, from the synthetic to the organic, often inverting and trespassing beyond the limits of their traditional uses, creating associative formations that direct the view in manifold ways both secluding and revealing. The source of inspiration for the installation is the notion of light and simultaneity. Saules Suns is a multi-centred landscape that unfolds around several suns, several sources of light traversing manifold materials and shapes. As if the scene of some cosmological dawn, it opens itself up as a site and moment for the generation of possibilities. Our sense of these possibilities is strengthened by the multitude of potential paths and perspectives through the installation. She bends metal into spirals, casts light into shadow, fluffs cotton into fuchsia purple blossoms. 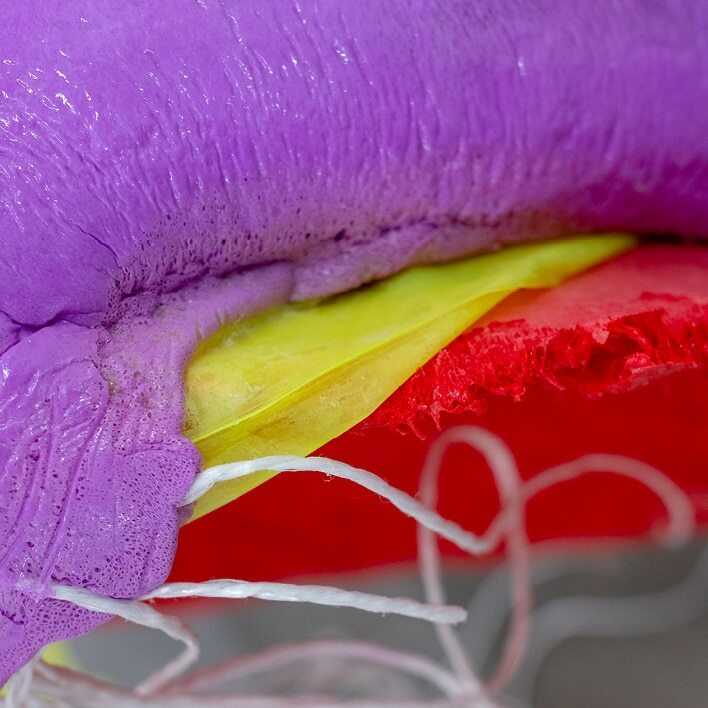 However, the piece is not about the materials themselves, but with the help of these elements something is expressed. Through her own unique manner of expression, her language, the artist communicates and shapes the world offering alternatives to the current state of affairs. This gains magnitude in an environment of heightened populism and fake news, when the verbal means of communication tend to fail. It reminds of arts’ fundamental characteristic – to search for an alternative language beyond words, stories and it is especially important in this moment and, of course, in the context of the Biennale. 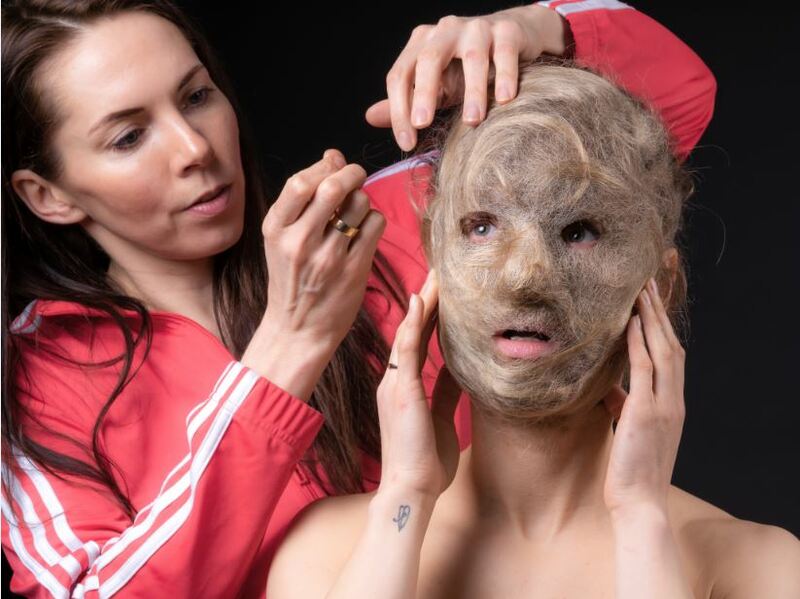 The curators of the Latvian Pavilion, Valentinas Klimašauskas and Inga Lāce, are excited to work with Daiga Grantina, an artist they admire for her ability to combine materials in unexpected ways. By bringing together the synthetic and the organic in arrangements reminiscent of life forms and molecular structures, she develops sculptural installations that read like three-dimensional scores for imagined vibrational patterns. The project team is composed of commissioners Zane Čulkstēna and Solvita Krese, curators Inga Lāce and Valentinas Klimašauskas, architect Dagnija Smilga (ĒTER), graphic designer Toan Vu-huu (Baldinger Vu-Huu Studio), deputy commissioner Alexey Koshkin and coordinator in Venice Alessandro Zorzetto. Project is organized by Kim? Contemporary Art Centre and Latvian Centre for Contemporary Art. Latvia has been participating in the International Art Exhibition since 1999. The organizers of the Latvian Pavilion 2019 would like to express their gratitude to the general supporters of the project, The Ministry of Culture of the Republic of Latvia, Jānis Zuzāns, SIA Alfor and Galerie Joseph Tang and to the supporters of the exhibition – Magnetic Latvia, Delfi, Arctic Paper, Krassky Interior Showroom, Magnum NT, Mousse and Pēteris Viņķelis.